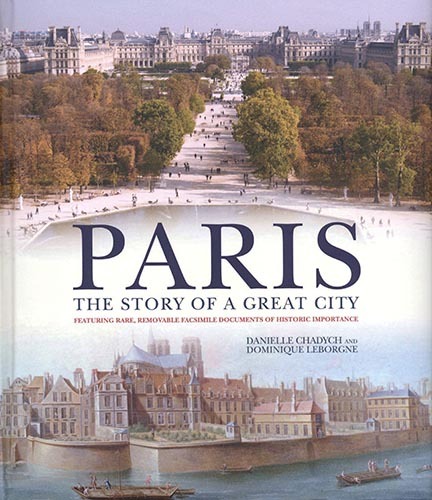 One of my agencies licensed one of my Paris images that looks over the Jardin des Tuileries toward the Musée du Louvre for the book cover of PARIS: The Story of a Great City. (The picture was taken from atop a Ferris wheel.) The license sale was actually made several years ago, and as typical with sales made through agencies I knew the sale was for a book cover but I didn’t know which book. I’ve recently been using Pixsy to track copyright infringements. It tracks usage of my work across the internet and has the additional benefit of helping me find legitimate sales like this. This entry was posted in Photography and Subjectged Paris.